ISTANBUL - JANUARY 18 :City traffic at Istanbul night. 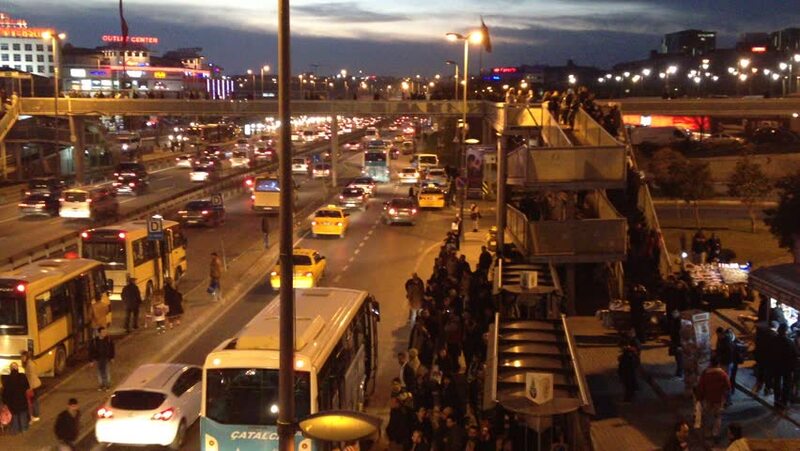 The traffic on the busiest highway E-5 in the city on January 18, 2014, in Istanbul Turkey. hd00:31Jemaa el-Fnaa market at night during Ramadan circa July 2012 in Marrakech, Morocco.